I am walking through a blunt triangle of empty terraced streets, dominated by a long low red brick church, closed and boarded up; a hole in the boards allows local children to once again play in the church porch. It is starting to get dark. Twenty years ago, in a period of deep, isolated research, I began to have dreams about Liverpool. I was studying the city’s churches, curious about how they define the city; how their spires contribute to the roofline, how their architecture dominates a street, how the city is changed on the date of their demolition. I worked alone, spending weeks in the city’s Records Office poring over memoirs and old street plans. Days were spent immersed in the stark and beautiful photographs of Liverpool in its Victorian prime, and in the dark and destructive 1960s when many of the city’s older churches were demolished. I took many long journeys to find the sooty, bruised survivors, only to discover that this destruction was ongoing. In some cases I arrived only days after the final clearance, to a raw slash in the urban landscape, a sense of wounded stone and dust settling. I began to see all buildings as temporary, as part of a rolling history of the fabric of the city. Lines began to blur. And I started to dream. Carl Jung famously dreamed of the city; mine were more prosaic. They have always been short and in black and white, and fall into two categories. In the first, I can see small details of the city - street corners, ruined walls, unnamed streets reduced to fields of rubble. Some districts appear time and again; Edge Hill, Toxteth, Netherfield Road, places that have been in a radical process of decay and regeneration since the 1960s. I started to record the dreams as accurately as I could, in a staccato, notebook style. Sometimes they help me remember more detail; in other cases they are all that is left of the dream. Unknown derelict dockland streets, ironwork, weeds, tall closed warehouses. A steep cobbled street called St George’s Place, behind a railway station. Early morning. The dreams were fuelled by the photographs, but I came to realise that they were also reviving memories. The Liverpool of my childhood was a city partly in ruins, and blitz-memories were still strong. Older people talked of evacuation to north Wales, of nights in air-raid shelters, of bombers over the city. The destruction continued after the war, when in a spurt of self-loathing the city demolished with a frenzy, and on car journeys to visit relatives in the northern reaches of the city I saw miles of cleared terraced streets. In those days all gaps in the landscape were known as ‘bommies’, a word which meant bomb sites but also bonfires; urban folk memory overlapped urban function. I had a recurring dream of a large square black building in the middle of a demolished city, a composite view of the boarded-up churches and barely-open pubs I saw on the disappearing streets of north Liverpool. In the other dreams, I see residential areas associated with my grandfather’s family. Vincent Lewis was born in 1904, and grew up surrounded by family in the working-class streets of Liverpool 8. 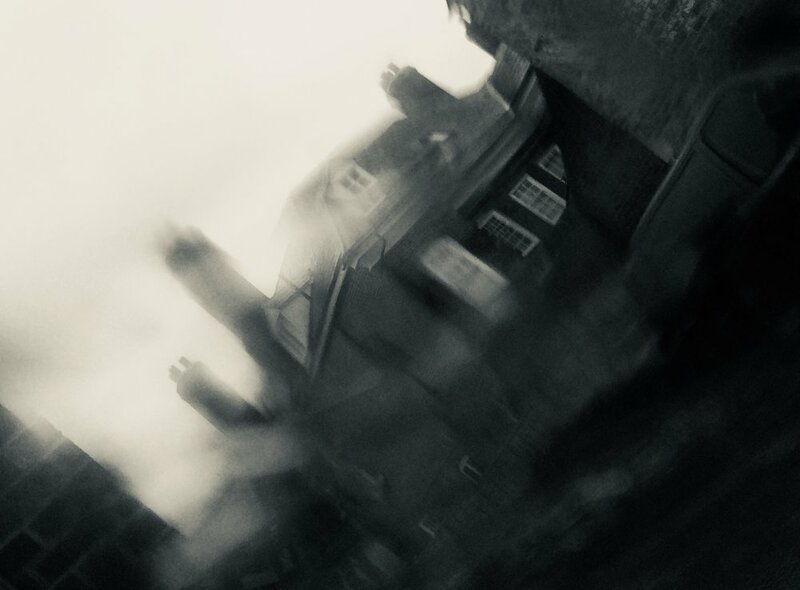 As a child I knew many of the streets with family connections, and as an adult it was these places that began to appear in different dreams; sometimes in ruins, sometimes full of people, sometimes just streets of alleyways and tall brick walls. Cockburn Street in the early morning. There are no cars and the street is deserted but I can see down another cleared street to the Mersey below me, gleaming silver. Tall walls behind me. I came to realise that all these dreams, these blurrings of old photograph and old memory, are a creative response to the demolition of my grandfather’s city. The books I have written on Liverpool are an attempt to understand and articulate the Victorian city that is gradually disappearing. Yet the pace of urban evolution is so quick that one day all our familiar places will have gone or been radically changed and everyday memories, however commonplace, will have become history. I still walk the vulnerable city as often as I can, exploring and recording amputated streets, stretches of cobble and redundant warehouses. Often after these long walks I dream once more of the city in ruins, feeling now that our rubble dreams tell us more than we know.